At 40+ knots she soars through the seas in supreme comfort. 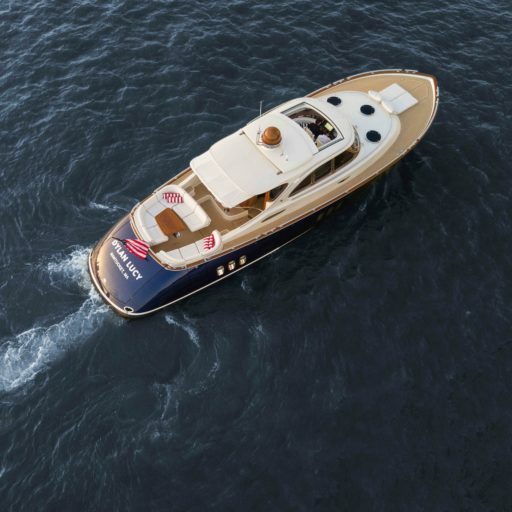 With custom handpainted wood art on its exterior, a majestically colored Bahia Blue hull and European Oak interior, she is a real eye-catcher. The Dylan Lucy is a truly spectacular ship. Last year she won the “Best powerboat” award during the 47th annual Newport Boatshow. 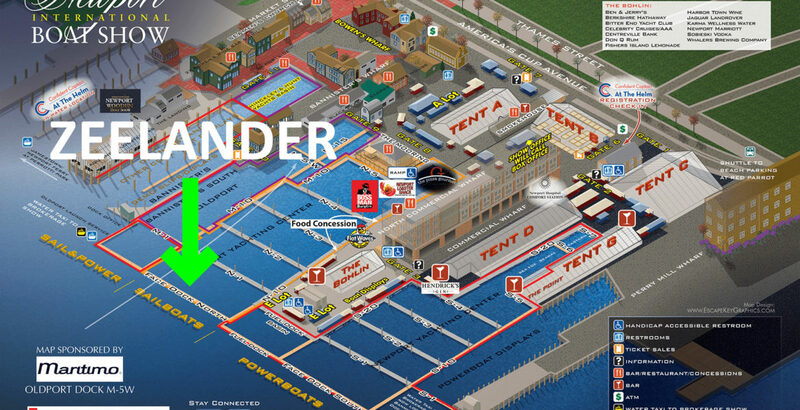 This year she will be on display between the 13th and 16th of September at the Face Dock North (view map below for reference). The owner of this particular Zeelander Z55 is getting ready to take delivery of his new Zeelander Z72 for next season. This presents a unique opportunity to own a 2018 model Z55 at a reduced price, whilst still carrying the factory warranty. You can take delivery after the Newport show, allowing you to finish the season in style. To book a meeting during the show, press the button below. Press the second button to view the Dylan-Lucy’s specifications.